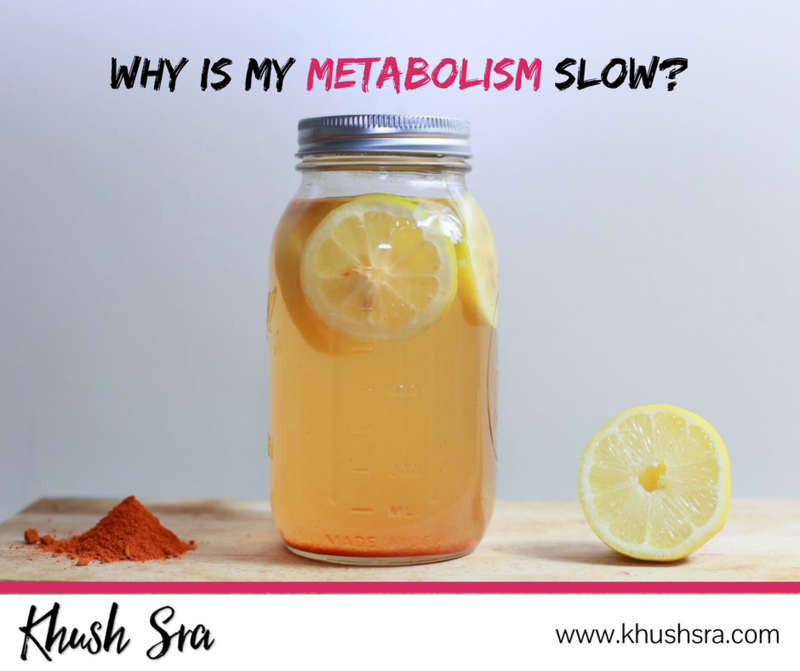 What can slow my metabolism? Metabolism includes all of the biochemical reactions in your body that use nutrients and oxygen to create energy. And there are lots of factors that affect how quickly (or slowly) it works, i.e. your “metabolic rate” (which is measured in calories). But don’t worry – we know that metabolic rate is much more complicated than the old adage “calories in calories out”! In fact it’s so complicated I’m only going to list a few of the common things that can slow it down. We’ll briefly touch on each one below and I promise to give you better advice than just to “eat less and exercise more”. Your thyroid is the master controller of your metabolism. When it produces fewer hormones your metabolism slows down. The thyroid hormones (T3 & T4) tell the cells in your body when to use more energy and become more metabolically active. Ideally it should work to keep your metabolism just right. But there are several things that can affect it and throw it off course. Things like autoimmune diseases and mineral deficiencies (e.g. iodine or selenium) for example. When people lose weight their metabolic rate often slows down. This is because the body senses that food may be scarce and adapts by trying to continue with all the necessary life functions and do it all with less food. While dieting can lead to a reduction in amount of fat it unfortunately can also lead to a reduction in the amount of muscle you have. As you know more muscle means faster resting metabolic rate. In general, larger people have faster metabolic rates. This is because it takes more energy to fuel a larger body than a smaller one. However, you already know that gaining weight is rarely the best strategy for increasing your metabolism. Muscles that actively move and do work need energy. Even muscles at rest burn more calories than fat. This means that the amount of energy your body uses depends partly on the amount of lean muscle mass you have. Aerobic exercise temporarily increases your metabolic rate. Your muscles are burning fuel to move and do “work” and you can tell because you’re also getting hotter. But to kick-start your metabolic rate for the entire day try a high intensity workout early in the day. Although it may only be 5 to 10 minutes, it gets your heart and metabolic rate up for the rest of the day. So you burn more fat all day long, doing the little things. Also, those little things can add up. Walking a bit farther than you usually do, using a standing desk instead of sitting all day, or taking the stairs instead of the elevator can all contribute to more activity in your day. There is plenty of research that shows the influence that sleep has on your metabolic rate. The general consensus is to get 7-9 hours of sleep every night.